200% up to $2000 bonus! Little action outside of Hold'em and Omaha. With a long reputation for customer satisfaction, CelebPoker features superb online poker promotions, tremendous online player traffic, and plenty of cash bonuses for VIP players. CelebPoker offers millions of dollars in tournament prizes each month, and many other incentives to keep players engaged. The online poker room shares in the iPoker Network player pool, providing nonstop action in NLHE and PLO tournaments and cash games. The PlayTech-based online poker software is solid and well-rounded, with many optimization features. Customer service is prompt and friendly, and available by telephone 24/7. CelebPoker also provides a plethora of deposit options to accommodate players in any part of the world. 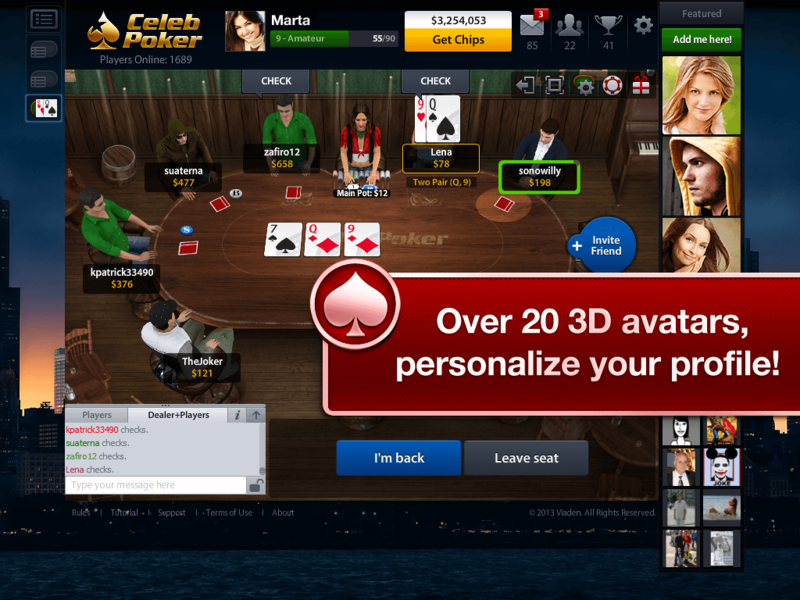 Celeb Poker uses the platform developed by PlayTech, one of the world’s leading developers of online poker software. 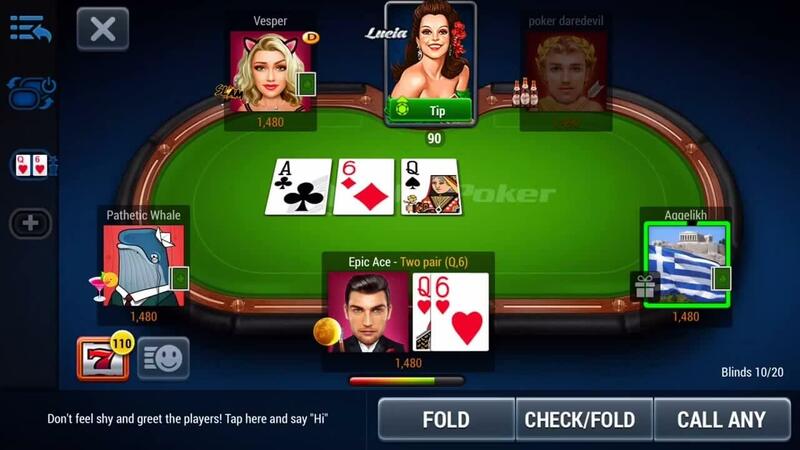 The CelebPoker software is stable and richly featured, with graphical quality and navigational ease held in high priority for user-friendly poker entertainment. 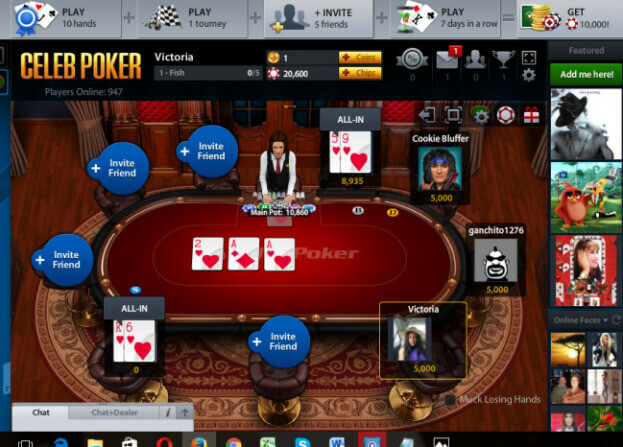 Multi-tabling is well supported at CelebPoker, with up to 16 re-sizable tables. Players can also view graphical hand histories at the table to review previous hands. Unfortunately, there is not a download version for Mac or Linux, nor an instant-play option. Partnered with one of the most heavily trafficked online poker networks in the industry, CelebPoker sees a substantial player volume in the Texas Hold’em and Pot Limit Omaha cash games and tournaments. However, as you move away from the most popular poker forms, the traffic dwindles significantly. Tournament lovers will find a large variety of tournaments at CelebPoker, from $25 freerolls to the $200,000 Guaranteed on Sundays. Other guaranteed tournaments at CelebPoker include the $60K Rebuy every Friday, $40K Freezeout on Saturdays, $40K High Roller Monday, $40K Super Tuesday and $30K Rebuy on Wednesdays. There is also a full range of other tournaments to be found at CelebPoker, including live event qualifier, online poker series, and Sit and Gos such as progressive jackpots and steps. Players will find the expected Texas Hold’em, Omaha and 7 Card Stud games at CelebPoker, but despite the overall traffic volume on the iPoker Network, Omaha Hi/Lo and 7 Card Stud receive very little traffic. 5 Card Stud is the only uncommon game offered, but is usually empty. Due to the sheer traffic volume and constant flow of new poker players joining iPoker partnered online poker rooms, soft competition is not hard to find at CelebPoker. Browse through the table statistics in the lobby to find the loosest tables in the low and mid-limit cash games. All new players who sign up at CelebPoker with our exclusive CelebPoker coupon code VIP2000 will receive the maximum CelebPoker first deposit bonus available; 200% up to $2000. Simply enter this unique CelebPoker coupon code in the field labeled Coupon Code, and your first deposit will earn you this generous Celeb poker bonus. The CelebPoker bonus is released in $5 increments for every 300 CelebPoker Points accumulated. Players will have a total of 30 days upon triggering the CelebPoker bonus to clear as much of the total bonus as possible. First time depositors will also receive 2 $2,500 freeroll tokens within 72 hours of depositing. The CelebPoker VIP Club rewards players with cash bonuses and exclusive freerolls. The VIP Club is open to every player, and automatically issues VIP Club points for real money cash game and tournament play. As players climb the tiers of the CelebPoker VIP Club, the rate at which they earn VIP points increases. The more points you collect, the higher your VIP status, and the greater the cash bonuses and tournament tickets that are available to you at CelebPoker. One of CelebPoker’s largest attractions are the plentiful promotions for cash game, multi-table and single table tournament players. Over $20 million dollars are offered each month in guaranteed tournament prizes, and the Sit ‘n’ Go Jackpots can rake up huge prizes. Aspiring live tournament players have the chance to win seats in major live events around the world, or compete in the iPoker Online Poker Series with $1 million in prizes. Players also earn extra cash playing cash games, MTTs and SnGs at CelebPoker, and may enter weekly and monthly VIP freerolls. CelebPoker offers award winning telephone support 24 hours a day, 7 days a week. Customer service may also be contacted via email. Cashouts: Visa, Skrill (Moneybookers), Neteller, Entropay, InstaDebit, Click2Pay, Click and Buy, POLi, Moneta.ru, ECOcard, myCitadel, Nordea, eNets and iDeal.